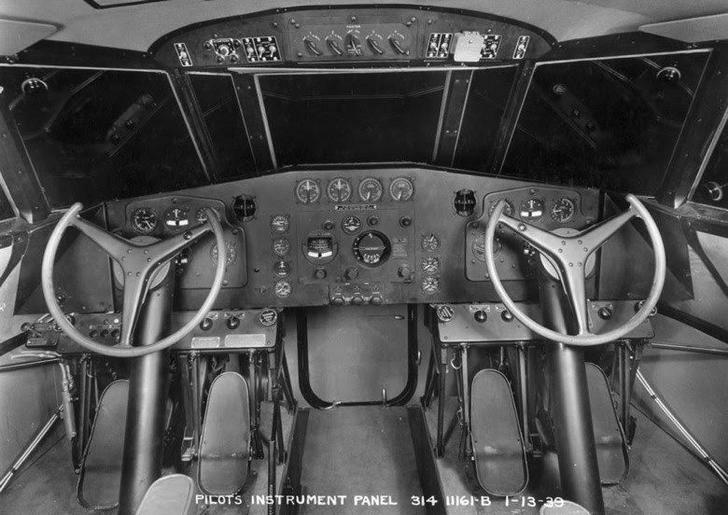 Long-distance aviation in the late 30s – This is how all air travel should be! 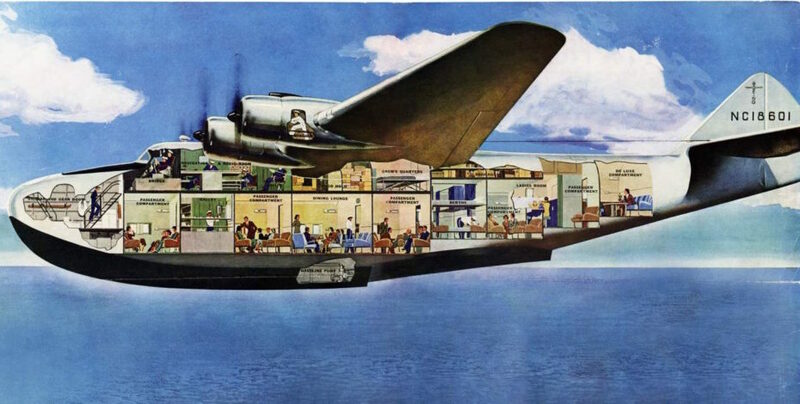 For glamorous, long-distance travel in the 1930s, there was nothing to match the grandeur of the Flying Boat. Whilst ocean steam liners and sleeper trains have their charms, surely no other travel vehicle can beat the Pan Am Clipper Class. 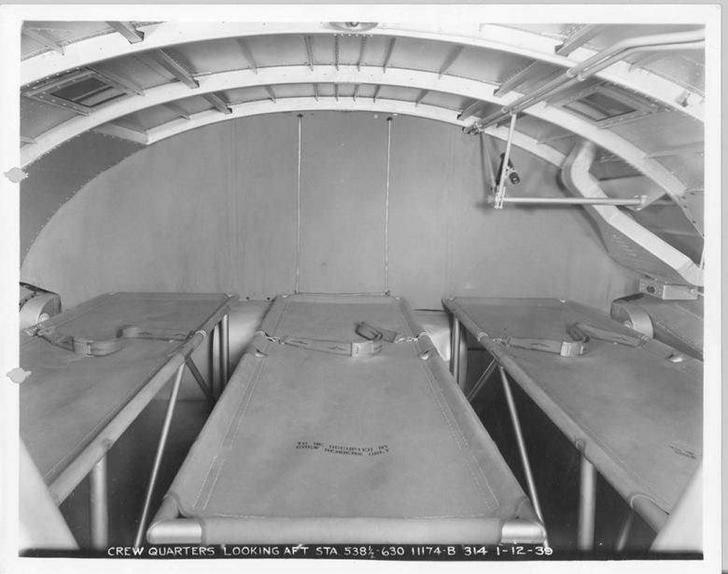 The Clippers were divided into cabins, with couches rather than airplane seats. 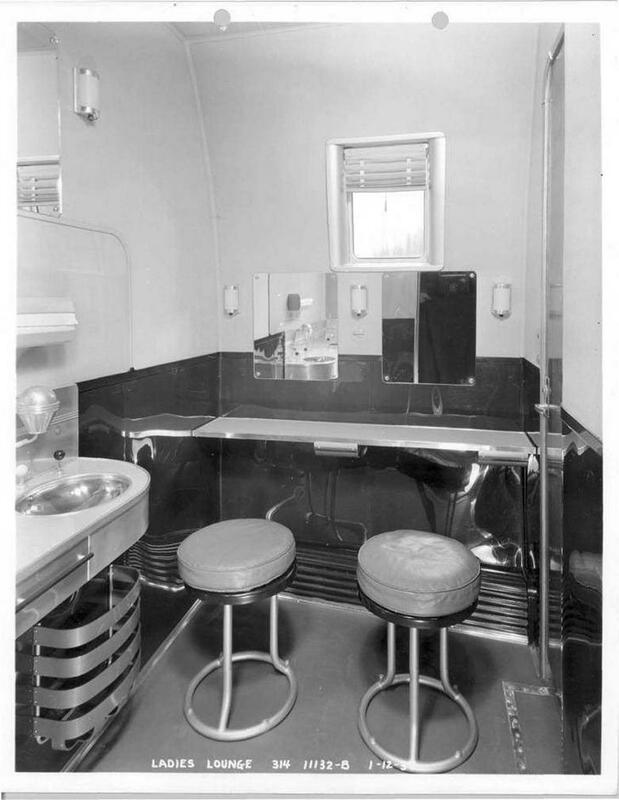 These compartments would transform at night into deluxe sleeper cabins. 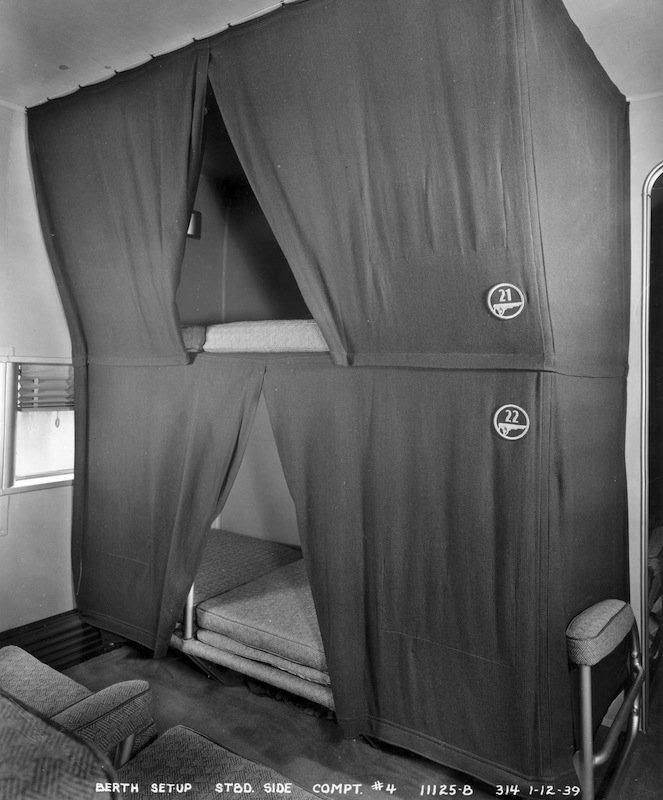 There were sleeping compartments, lounges, changing rooms, and a bridal suite (De Lux Compartment) for trans-Atlantic travel. 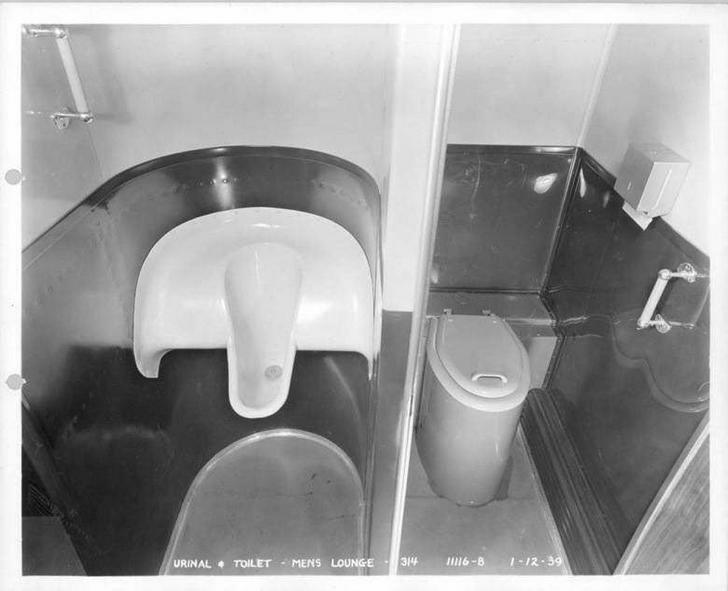 The crew of 10 people could accommodate up to 74 daytime passengers. 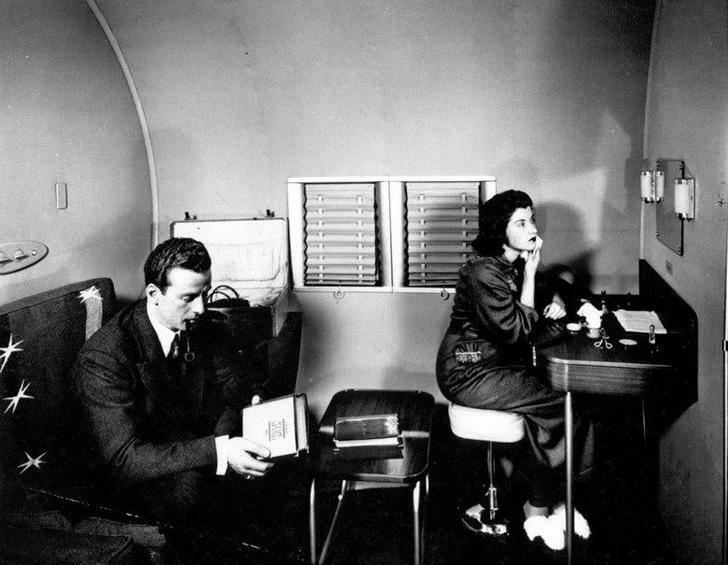 The honeymoon suite was located towards the rear of the plane. It was a makeup room and living room convertible into a honeymoon suite. The ladies’ washroom had a make-up station. 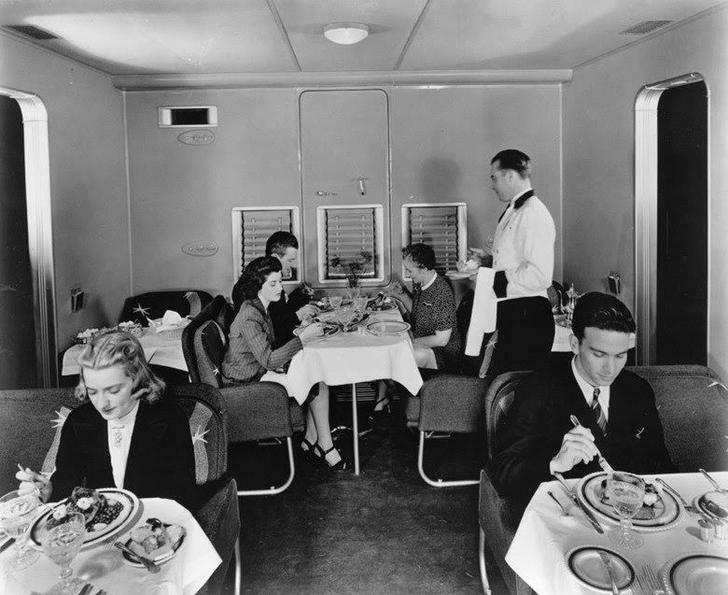 Whilst today’s commercial aircraft squeeze passengers into about six square feet, on a Pan Am Clipper, each passenger could luxuriate, six-course dinners were served on fine china, and the only tickets sold were First Class. 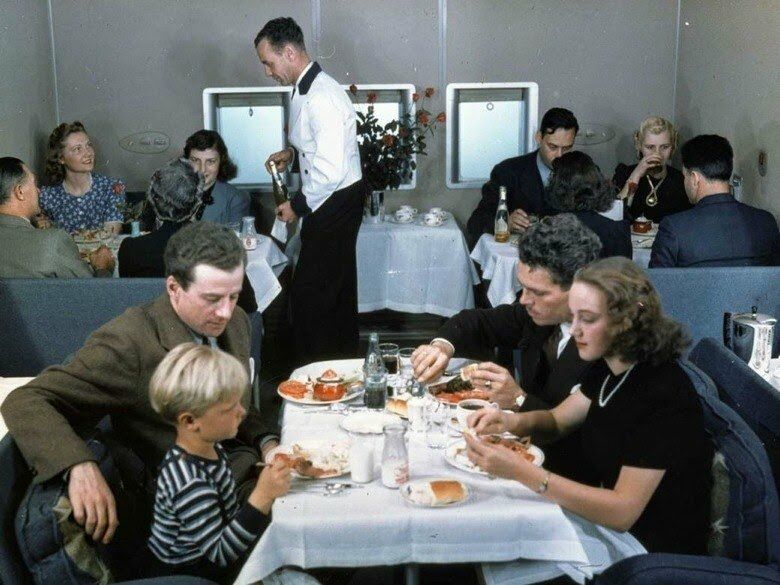 Yes, I remember the good old days when people actually dressed up to fly. Much more fun than the present days.